Finally made it back to Sedona, and celebrated by purchasing an America the Beautiful Senior Lifetime Pass. a popular Pink Jeep destination. My ticket to the Great Outdoors. 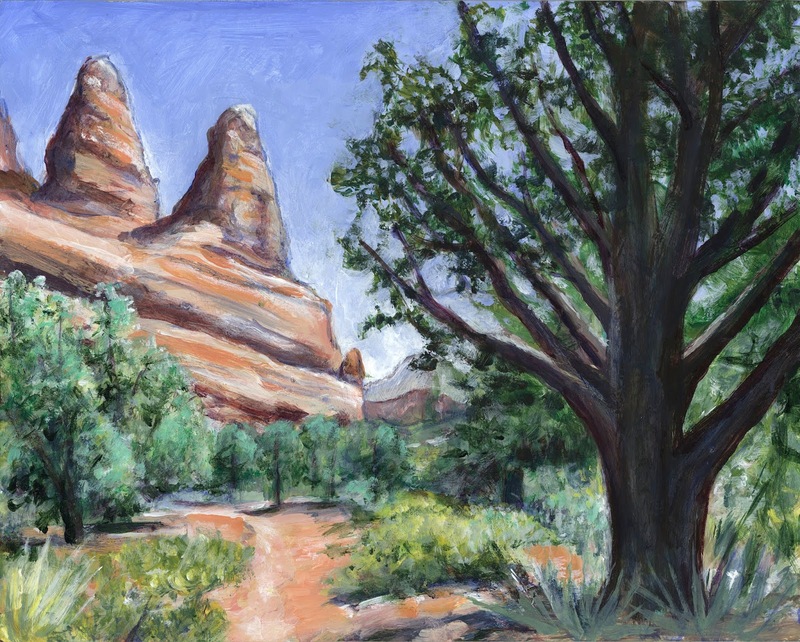 "Little Horse Trail Below Chicken Point"
is an 8" x 10" acrylic painting on panel.